Birgit Megerle, Kid Woolf, 2018, oil on linen, 27 5/8 x 22 3/8". Birgit Megerle’s exhibition “Soft Power” contained some memorable works, but one in particular has stayed with me. 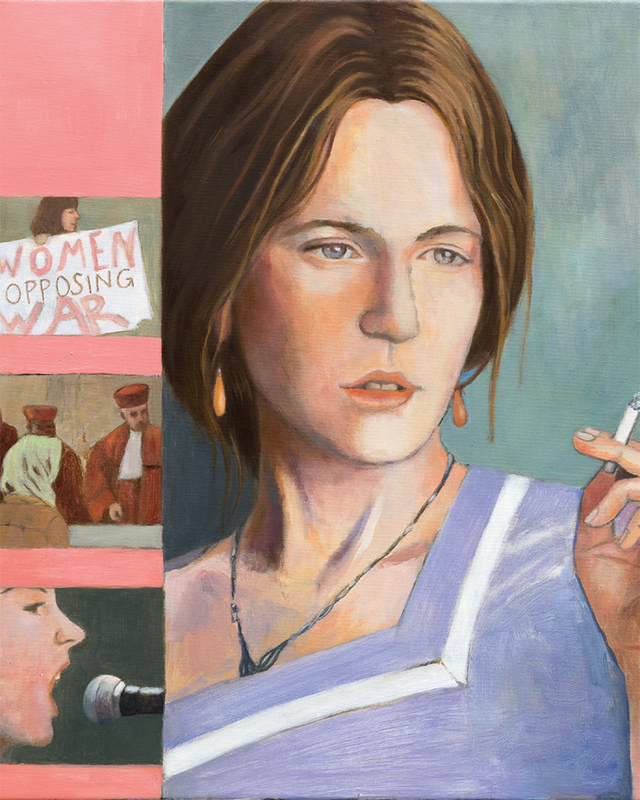 Kid Woolf, 2018, is one of several paintings by Megerle based on the covers of the magazine Emma; it shows Nicole Kidman in the role of Virginia Woolf in the 2002 film The Hours. Here, the literary icon has become precisely that: an icon, an image, an actor’s impersonation gracing the cover of one of Germany’s oldest and most widely circulated feminist magazines. Megerle’s show demonstrated that the iconic is not necessarily the superficial, and that becoming an icon is not necessarily something to be bemoaned.